Brookfield, Wis. (May 9, 2018) – OwnersEdge Inc., an ESOP holding company based in Brookfield, has acquired QComp Technologies, a robotic systems integrator in the Fox Valley that serves clients throughout the United States and Canada. OwnersEdge now has four 100% employee-owned companies – BAYCOM Inc., CC&N, QComp Technologies and TourGuide Solutions – and more than 300 employees. Reardon will become CEO of QComp and work with the executive management team. For the past five years, Tom Doyle, the founder of QComp, has been transitioning daily operations to John Schwan, vice president of sales and marketing, and Greg Whitney, vice president of engineering and manufacturing. 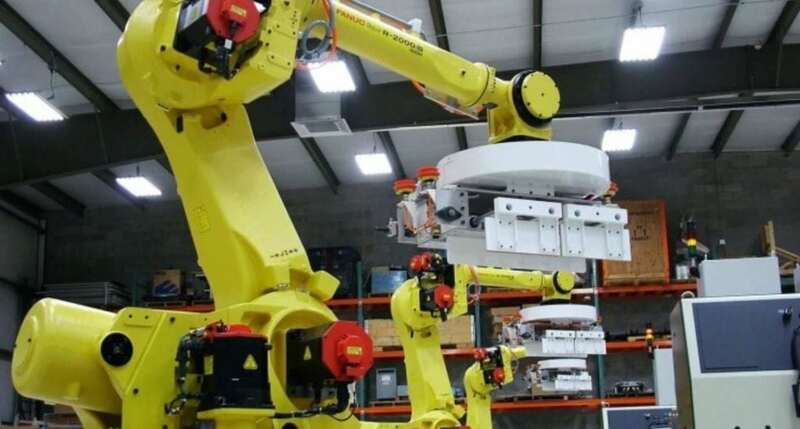 QComp, which is based in Greenville, has approximately 35 employees and provides robotic packaging systems, material handling systems and automation line integration for clients in the glass, solar, consumer products, food, pharmaceutical, plastics, paper and metals industries. QComp and OwnersEdge have been engaged in acquisition discussions for the past 13 months. To guide QComp toward future growth, an advisory board will be established and the company will adopt the OwnersEdge strategic planning process. OwnersEdge will also handle QComp’s human resources and administrative functions, along with integrating its employees into the ESOP. OwnersEdge Inc. was formed in January 2015 as an ESOP holding company. Each of its portfolio companies are 100% employee owned. An Employee Stock Ownership Plan (ESOP) is an ownership model in which company employees have partial or full ownership of the value of the company, collectively. The benefits of ownership are typically considered part of a wealth development and/or retirement benefit strategy for employees. Each year, the value of the stock is established and reflected in employees’ accounts.With the CSW acquisition, BAYCOM will have a total of six locations in Green Bay, Fox Crossing, Pewaukee, Madison, La Crosse and Portage.